Anne Millson, Mezzo - Soprano, was born in Scotland & comes from a long line of singers. She has performed a wide variety of operatic roles including those by Rossini, Mozart, Puccini, Bizet, Verdi, Britten & Bernstein. Anne has appeared in concerts, recitals and on TV as Mrs Herring in Britten's Albert Herring, as well as at the Edinburgh Festival. She belongs to The Skylarks Trio which she founded & they perform regularly at The Tea-box in Richmond. in the Opera Evenings.Anne has also acted at Richmond Theatre. She has sung for The West London Synagogue for many years as well as other London churches. Recently she has been invited to sing on a regular basis in a club for actors & musicians in London's West End. 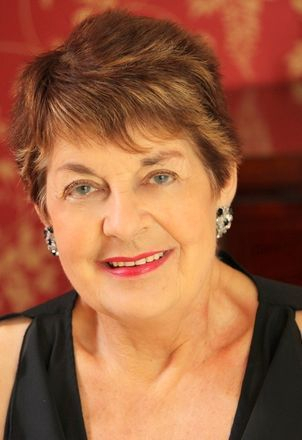 Anne has taken part in all the Gala SW6 concerts and enjoys compering the show.& writing the script. She studies with an international tenor and was coached by the outstanding musician Peter Gellhorn for many years. She also takes part in masterclasses for singers. Anne sang in the UK Premiere of The Juniper Tree by Philip Glass & Robert Moran in March 2017 held at the Hammond Theatre, Hampton. Broadway Baby from “Follies” by Stephen Sondheim.